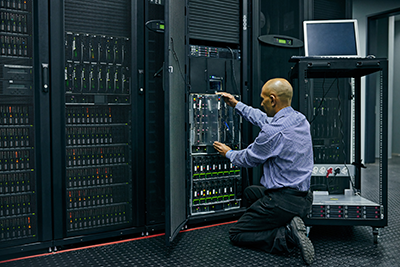 Moving your server hardware and network equipment into a new datacenter might seem like a daunting task. This is understandably so, as service interruptions and excessive downtime are something no organization can afford. Consulting with a firm whose sole focus is assuring a successful migration can alleviate those concerns through sound planning and execution that makes sure your transition is as smooth as possible. The first step in any good plan is identifying what needs to be completed before, during and after you move into your new colocation space. Things to consider are any current agreements for existing colo, Internet bandwidth needs, IPv4/IPv6 addressing, DNS records that would need to be updated. Are you using equipment or buying all new equipment? 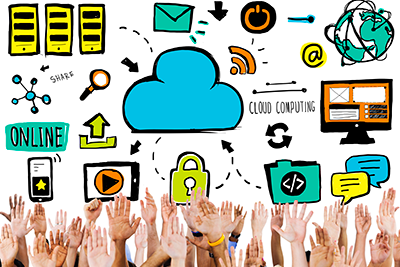 How will you access your equipment in the datacenter across the Internet? VPN, private fiber, RDP, etc. CyberLynk can help plan every step of your migration if you would like. Racking equipment is not an everyday event for most people. CyberLynk engineers do it everyday and can rack your equipment very quickly if you would like. Unlike almost every colocation provider you will CyberLynk will provide a PDU to power your equipment along with FREE CAT5 cables and FREE power cables. We also have Cisco, Mac, Linux and Windows engineers on staff that can usually solve any problem you might have if you need help. CyberLynk is here to make sure your move to our datacenter goes smoothly. Whether you are located within driving distance to the datacenter or thousands of miles away from Milwaukee. 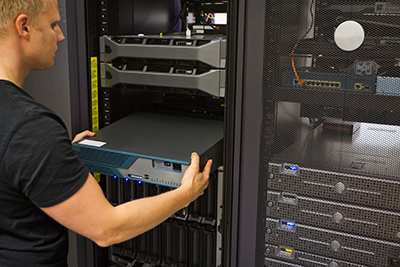 Simply ship your equipment to our Milwaukee datacenter, and we handle the rest from there. 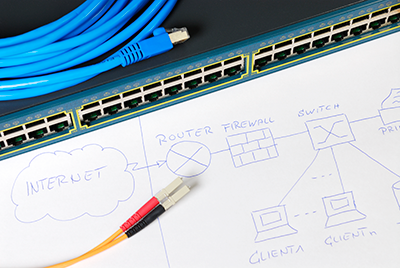 The CyberLynk team unpacks your server hardware, routers, switches and other equipment, then installs and configures it free of charge as you have directed us to via a support ticket. There is no need for you to even make the trip to our facility but you are always welcome to stop by our datacenter to install your equipment too. At Milwaukee Colo, our goal is to quickly and efficiently migrate your IT systems while you and your staff continue to tend to the core objectives of your business. By choosing us as your colocation partner, you will be removing a huge part of the datacenter migration hurdles many organizations are facing today. Have a network design or business model in mind but not interested in spending hundreds of thousands of dollars in hardware/software? Share your requirements with us and we will provide all of the infrastructure to build your business on. Turn your capital expenses into monthly operating expenses. Too busy? Need additional help? Cyberlynk’s highly skilled engineers are always available to schedule the tasks you need help with via our Professional Services. Never again do you have worry about being down for extended periods of time or not having the skill sets required to accomplish your goals.